Varied Vases Four Panel Pop Out. 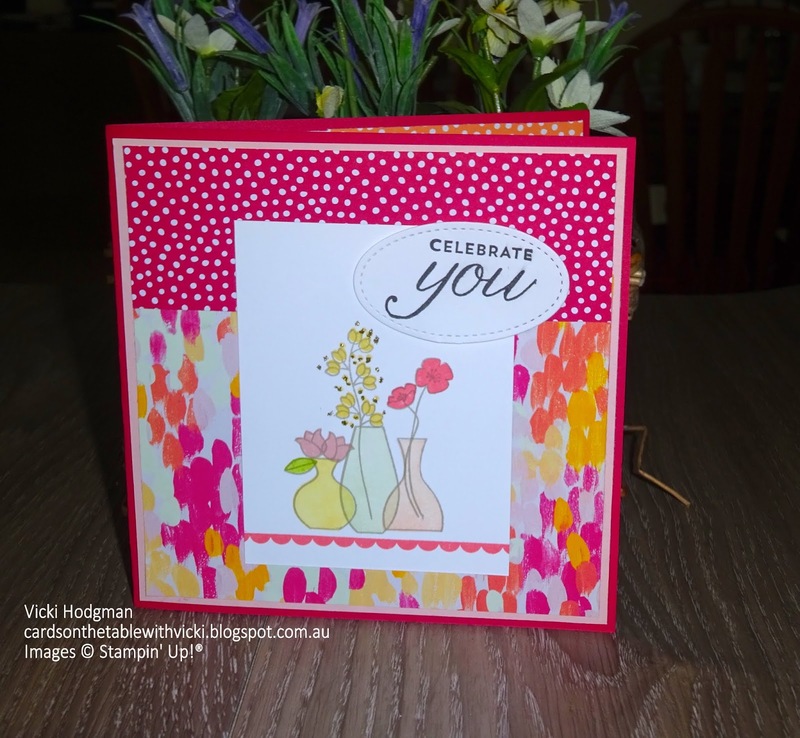 Featuring: Varied Vases Stamp Set, Garden Impressions designer paper, In colour designer paper, Stampin Up, Four panel pop out, special fold. 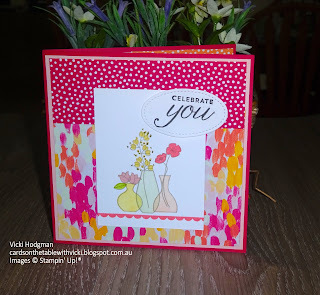 For the first card I wanted to show you using new products I chose Varied Vases. 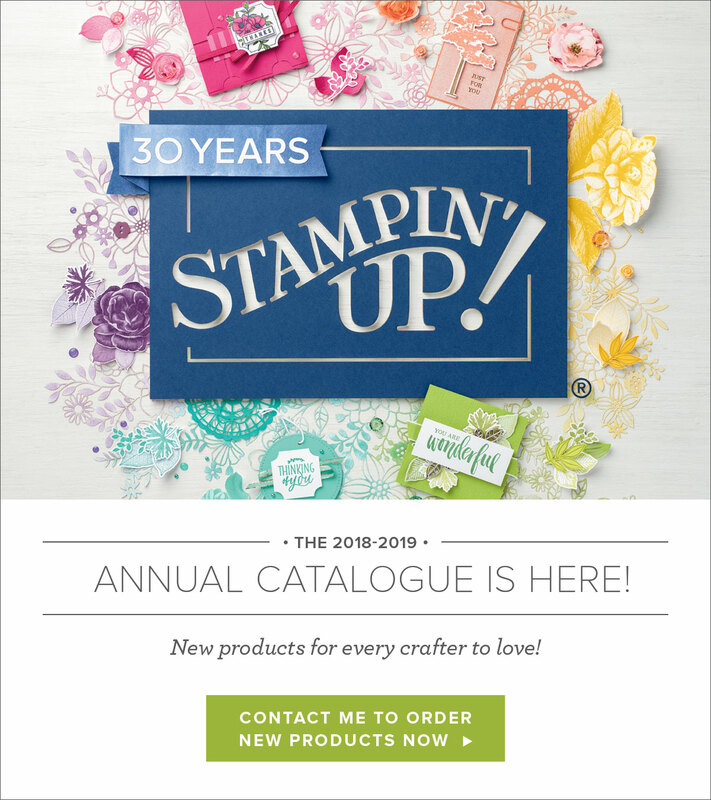 This is such an easy set to work with and it does have a matching Vase Builder Punch to punch out the vases and tulips if you want to. 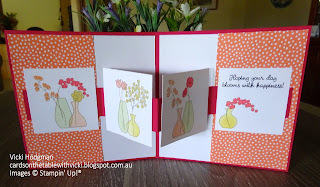 I have started with a Lovely Lipstick card base 14cm x 14cm and a Petal Pink Matt 13.5cm x 13.5cm. 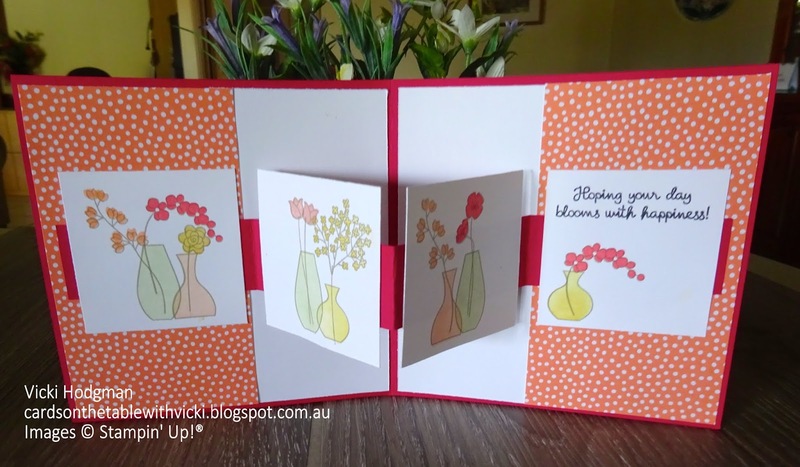 And layered on top with some designer paper from Garden Impressions pack and the In Colour pack. 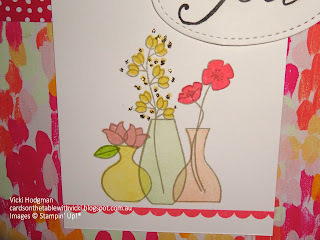 I love the way the vases look here, like coloured glass, by stamping off first to create a paler colour. 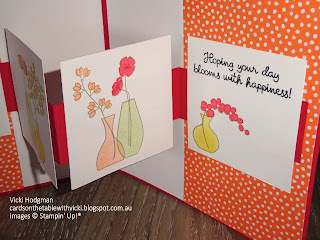 I loved creating these little vases so much I made several of them. 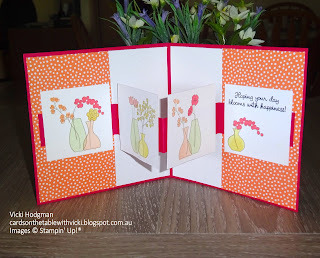 So what better way to display them than with a special pop out fold inside the card! I saw this ages ago on an overseas demos post, it wasn't in English but easy to do. The strip of card inside is 29cm x 3cm and scored at 7cm, 14.5cm, 22cm. I attached it about half a centimetre in from the edges. 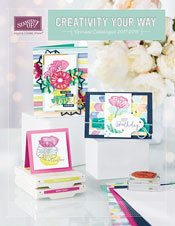 The pictures are 6.5cm x 6.5cm. Like these Varied Vases, I think you could vary this card and make your own version too.